Currently: Steve has his goal set on the World Rowing Championship 2016. Train, eat, sleep, repeat. This is how Steve Whelpley, US Rower and a member of TEAM SUBTECH, describes his ordinary daily routines. And he hadn’t made it to where he is today without putting huge amount of effort at what he does. The sculler is currently preparing for the World Rowing Championship 2016, and Steve’s fluent way of describing his passion for rowing is something out of the ordinary. But a passion doesn’t automatically means you always love what you do. Steve explains his story further..
At what age did you start rowing, and when did it become a true passion of yours? I’ve rowed long enough and made enough sacrifices for it that it’s become a love/hate relationship. I started when I was 16 years old with a group of buddies. I had an Uncle that did it back in the day who I aspired to be like. From there, I rowed at University and then created a life that revolved around it. At times, it was a tall order to commit to just rowing, so it was hard to really be in love with it. Now though, late in the game, I’ve finally regained perspective and see a beauty in the complexity of its dichotomies: smooth yet powerful, fast yet patient, fluid yet consistent, and so on. 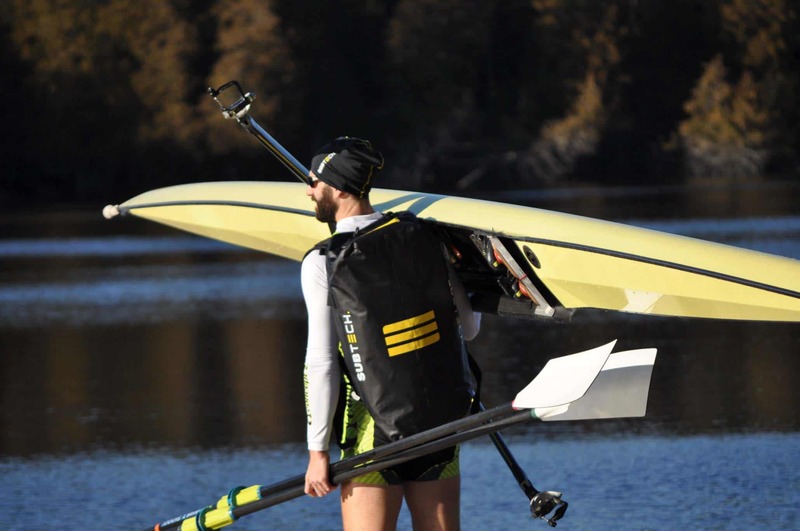 What was your main experience from the World Rowing Championships 2014 that you can carry with you for the next Championships? The main takeaway from the 2014 Worlds is that change is inevitable. Whether you want it or not, it will happen. We had a good crew and an awesome third World Cup. We just wanted to keep doing the same thing in the sense of success, but that would require change on our part. Meanwhile, every other crew is also changing intentionally or unintentionally. It is a constant quest for speed without a knowable answer. Describe your communication with your teammates before and during a race? I sat 2 seat in the U.S.’s 2014 Mens Quad, which meant I was supposed to make the majority of the calls. Some days my teammates appreciate that, while other days, they could use a serious break from it. Before the race, we’re mostly in our own minds. It’s hard to know exactly what a person might need at a given time. For the race though, we script it all out: what calls to make when, how many hard strokes to take where, etc. Within that, I make calls in the moment. The most memorable thing for me though is when the calls are done, when we’re in the red buoys and I don’t have a breath to spare as we come into the last 250m. How does a typical day look like during season vs off season? Pretty similar. Rowing doesn’t have much of a down time. 3/4s of the year is spent building a base to utilize for the other quarter of the year. I crosstrain a little more when not in race season by biking, hiking, or swimming, but that’s become an important part of my training year round as well. In the off season though, I’ll do a little more of it. In September this year, I went for a ride that extended the length of Vermont on one road, covering over 200 miles in one day. For the most part though, it’s train, eat, sleep, repeat. Generally, I stay pretty on task, but I’ll let loose right at the end of the seasons (September) once and a while. This year I tried waterskiing and paid the price of a torn hamstring. I’m healing up well though and strengthening my other weaknesses in the meantime. Plan to come back bigger and stronger. What’s your impression so far of the PRO DRYBAG 45L? I spend a lot of time by the water, so it’s a no brainer. It’s really sweet to be able to bring my gear right down to the dock or better yet have important stuff ride along in the coach’s launch in case we need it. It’s a sweet bag. I just wonder if it could have somehow saved my hamstring when waterskiing!